As he and his companions continue westward, Robby's secret dreamwalking lessons begin. Soon his skills will exceed those of his teacher. His companions do not know that Robby is testing his limits. They watch with dismay as he grows weaker day by day. But they, too, are being tested. Ullin leads them onward, but a dark apparition dogs him, bent on driving him into madness. Sheila seems to be the target of Ullin's growing despair, but she finds herself attracted to him. Billy and Ibin look on as the friendship that binds them all together is strained to the breaking point. Yet they must carry on toward Griferis. The grassy plain holds its own dangers, and they must cross paths with raging stampedes, Dragonkind, a monster made of vines and human flesh, and two great armies preparing for battle. As well, the Unknown King has learned about the conspiracy against him, and he has issued a summons for Robby and his company. Now, those who would otherwise be Robby's allies are now sworn to apprehend him. Their only hope is to flee into an enchanted forest, one filled with sadness, resentment, and anger. It is a place from which few ever emerge. Yet, strangely, the forest may offer unexpected refuge and healing. Peril after peril await. And greatest among these is a fanatical soldier who serves the Unknown King. It is not his aim to arrest Robby, as the King has ordered, but to assassinate him and all others in his company. 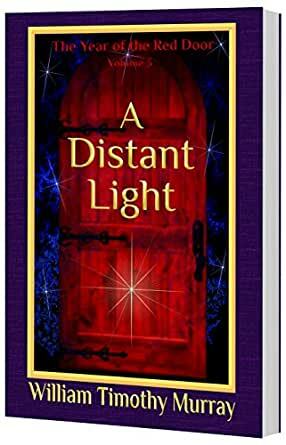 Publisher's Note: This electronic version of A Distant Light not only contains all of the text of the Second Edition (print), but also a Reader's Reference Glossary with new and revised maps not included in the print version. 4,0 van 5 sterrenA good read. A good read. Characters that you feel like you know and surprises in the twists turns of the story.